The Caribbean's unmatched beauty, unique biodiversity and rich culture are world reknown. The clear turquoise waters are home to over 700 islands, ranging from small cays to large nations, and it's iconic maze of coral reefs make up to 10 per cent of the world's total reef area. 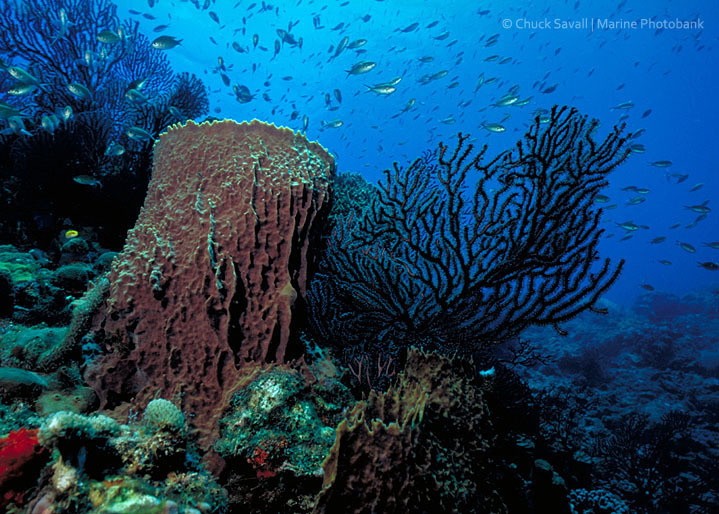 With forty three million people living within 30 kilometres of a coral reef it is the interconnectedness of species and habitats that make reefs central to the identity, wellbeing and economic prosperity of the people of the Caribbean. In some countries, especially poorer nations, people are directly dependent on coral reefs for food and employment. Generating over $4 billion dollars to the region each year, coral reefs protect the shoreline, provide a home to a huge number plants and marine creatures, and are a major tourism attraction to visitors who come to wonder at some of the world’s most vibrant and diverse coral formations. Like all reefs worldwide, Caribbean coral reefs are under unprecedented pressure from unsustainable fishing, pollution and coastal development. Combined with global climate change and ocean acidification, these pressures present a catastrophic threat to the iconic marine ecosystems and the communities and industries that depend on them. Understanding these risks, and finding strategies to deal with them, is crucial to the sustainable development of the Caribbean region. Reducing local pressures is a key way to increase the resilience of coral reefs to climate change. The Australia Caribbean Coral Reef Collaboration brings together experts and officials from Australia and the Caribbean to develop and demonstrate strategies for reducing the vulnerability of coral reefs to climate change and building the resilience of reef-dependent communities and industries. Australia, home to the largest barrier reef system in the world, is uniquely placed to share valuable expertise and knowledge that will assist CARICOM member countries to make a real difference to the marine environment. The program partners are working together on a Regional Plan of Action for coral reef management, including policy responses and practical actions. The Plan of Action draws upon national overviews and presents a regional vision for building resilience of coral reefs to climate change. It identifies key priorities for national and international action; a number of collaborative projects are already being implemented under the Collaboration to address several priority issues. To learn more about the work we are doing under the program, visit our collaborative projects pages.